This part of the speech is certainly in line with Governor Hogan’s 2015 remarks and his 2018 re-election campaign. But now that we’re in 2019, people are reading into the tea leaves and making an assumption that Governor Hogan is testing out messages for a 2020 Primary Challenge to President Donald Trump. The Governor’s speech fueled the fever dreams of professional Never Trumpers. But as I discussed on last week’s episode of Red Maryland Radio, I don’t think that’s going to happen. Governor Hogan’s second-term priorities? They include tax relief, improving schools, and reducing the regulatory burden to help improve Maryland’s business climate. That’s the agenda of a Governor putting his current job first. While Martin O’Malley’s second-term was dedicated from day one toward positioning O’Malley for a run for President, that’s not what the Hogan Agenda looks like. Let’s also talk about Governor Hogan’s feelings about national politics. I’m not just talking about what the remarks he made in his speech, but also remarks and conversations he has had with others. Governor Hogan has been coy about keeping his options open, which is smart politically to build a national profile and be a part of the conversation. But he has never really indicated a desire to seek the Presidency, in 2020 or otherwise. 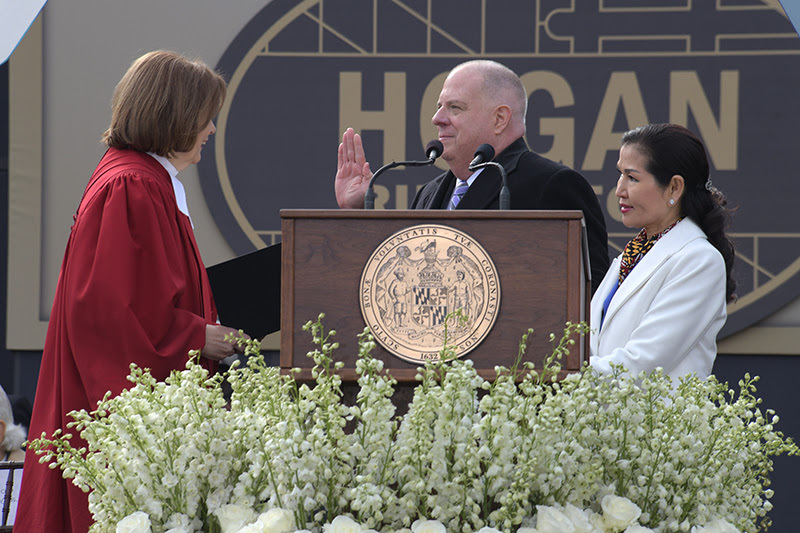 Let’s not also forget something we have mentioned about Governor Hogan in the past; he has one of the sharpest political minds we’ve ever seen in Maryland politics, if not the sharpest. Governor Hogan has to be aware that a primary challenge for President in 2020 would face astronomical odds, with little chance of success. That’s not to say that Governor Hogan’s definition of success would be victory; remember that Pat Buchanan set a tone going forward after his 1992 primary challenge of President George H. W. Bush, and he only got 23% of the total primary vote, and Eugene McCarthy’s near win in the 1968 New Hampshire primary virtually ended LBJ’s presidency. But despite all of the challenges that President Trump’s re-election faces, there doesn’t appear to be a path to victory for a primary challenger at the present. Based on his political instincts though, Governor Hogan’s entry into the race might make me reconsider that. Though I know many Republicans (myself included) would like to see a primary challenge in 2020, there is no reason to believe that Governor Hogan will be the one launching such a challenge.